In the spring of 2011, I developed a proposal for a food recovery partnership which brought together a local Agricultural college (Delaware Valley College) with two Philadelphia-area non-profits (the Bucks County Opportunity Council and Philabundance). This proposal was partly inspired by a visit to Kingsbury Farm in Vermont, a creative public-private partnership in which farmers annually commit a designated amount of fresh produce to the food bank system in exchange for free use of land, equipment, and related facilities. The proposal sought to help mitigate hunger in the region by creating a partnership which leveraged the assets of the college (specifically its production capability and agricultural know-how) with the strengths of the non-profits (including their joint focus on relieving hunger, knowledge of where need exists, distribution capabilities, and access to volunteers). 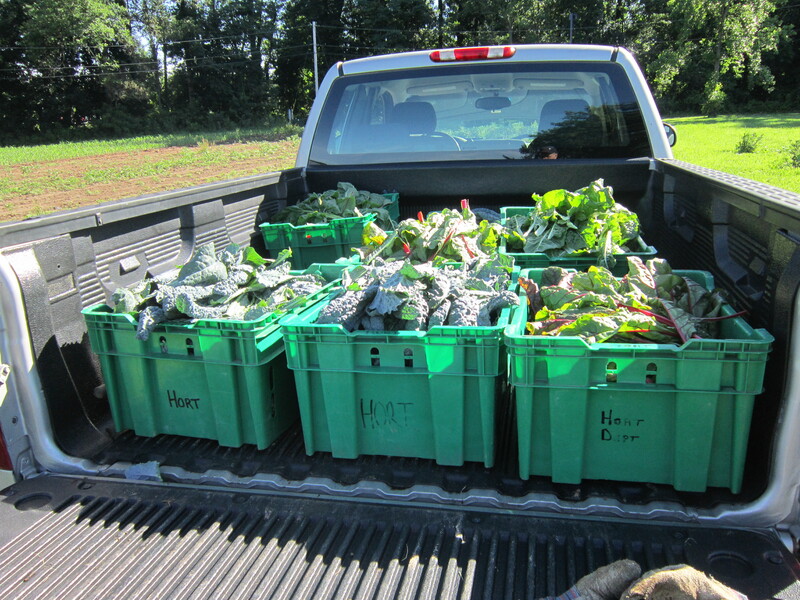 In addition to providing volunteer resources to capture food from the college’s fields that might otherwise go to waste, the proposal sought to create a vertical relationship in which food was grown directly for non-profits engaged in hunger relief — with volunteers organized by the non-profits playing a key role in tending to, and ultimately harvesting, the crops. The project proposal outlined several benefits to the college, including 1) the satisfaction and goodwill to be attained by simply doing the right thing: harnessing existing assets to feed the hungry, 2) the possibility of a slight revenue stream from produce sales to offset costs, 3) significant “good press” in the community, 4) the ability to engage in an innovative sustainability program and apply lessons learned to expand concepts of sustainability and social mission throughout the curriculum, 5) the potential to attract high-quality students in the future, and 6) the ability for both students and faculty members to participate (and take pride) in the project. To the participating non-profits, the project offered 1) the promise of a steady supply of fresh, nutritious produce for their constituents, 2) the ability to apply lessons learned to the development of new partnerships with other growers, 3) the ability to expand their volunteer bases, and 4) the benefits of goodwill and good press from a high visibility partnership. As expected, this project proved a key point regarding food recovery partnerships: success breeds success. The project began with a one-acre garden on the college’s main campus, producing over 15,000 pounds of fresh produce for food insecure individuals in the first year. With the addition of two more acres the following year, production exceeded 35,000 pounds. Items produced include lettuce, cucumbers, tomatoes, cantaloupes, sweet corn, and squash. A project that began with three partners is now up to seven. Donor contributions led to the conversion of high tunnel greenhouses to produce fresh vegetables during the winter months — a time period when low-income families particularly struggle to obtain fresh produce. The college has plans to increase the size of the garden to five acres and increase production annually with a long-term goal of 100,000 pounds annually. The project has provided a valuable platform for students, faculty, and volunteers to join together in an effort to provide high-quality nutrition for local community members and others in the broader Philadelphia region. In addition, the garden served as the backdrop for a noteworthy hunger-related event last month — United Way of Bucks County’s “BKO” (Bucks Knocks Out Hunger) event — at which roughly 600 volunteers gathered to pack 100,000 meals for local pantries. Simultaneously, other volunteers worked in the fields tending to fruit trees and harvesting produce from greenhouses. Now in its third year, the project is a “win-win” for multiple stakeholders, and serves as an effective model for other creative partnerships in food recovery. Previous Previous post: Got Recycling? Need More!